I've been running low on blog-post steam lately, it seems like all I do is work! I thought I'd share some of my favorite books with you guys. When Chris and I worked at the hardware store we were reading every single day (we shouldn't have been, but we did! ), and I found some of my favorites just within the last year because of it. Most of them are sorta-classics, or at least really well known authors, but if you haven't heard of them you should check them out! Vonnegut has always been my favorite author. It's sort of cliche now, all the hipsters love him, but I read Slaughterhouse 5 in high school and fell in love with his writing. Last year I read quite a few of his books (Slapstick, Breakfast of Champions, Cat's Cradle, Slaughterhouse 5, God Bless You Mr. Rosewater, Galapagos...). I love every one of his books that I've read so far, and hope to someday read them all. Bluebeard is one I really liked. It's not one of his more critically acclaimed novels, but I thought it as hilarious. It's about an aging artist who never quite got the fame his peers did, and who failed in many aspects of his life. 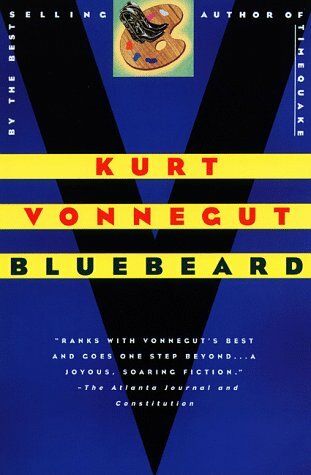 He meets a brash and strong-willed widow who urges him to write his autobiography, and Bluebeard is about their time together as they relive his life and share his life's most important work. Tom Robbins in my other favorite author. Right after I graduated high school I was feeling pretty lonely (most of my friends had gone away to school and I was still at home), so I spent a lot of time at the library. I carried around a page (front and back) of book recommendations from people. My brother-in-law Kyle told me about Tom Robbins, and the only two books my library had of his were Fierce Invalids Home From Hot Climates and Villa Incognito. 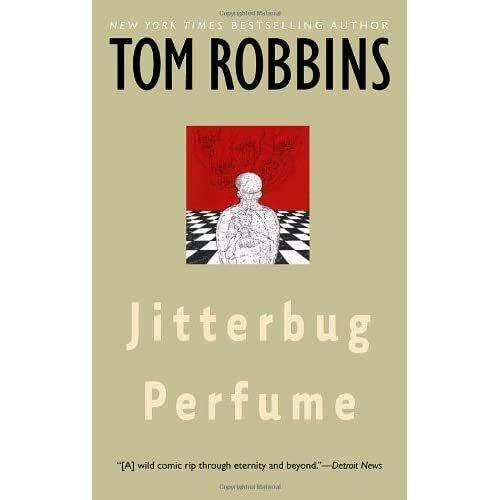 Fierce Invalids was a really great introduction to Robbins, and another great one is Still Life with Woodpecker, but since then I've read more of his work, the last one was Jitterbug Perfume (which was the book Kyle recommended in the first place) and I've completely fallen in love. This book is probably my favorite of all time, everything about it is perfect. Here's Amazon's despcription: "Jitterbug Perfume is an epic. which is to say, it begins in the forests of ancient Bohemia and doesn't conclude until nine o'clock tonight [Paris time]. It is a saga, as well. A saga must have a hero, and the hero of this one is a janitor with a missing bottle. The bottle is blue, very, very old, and embossed with the image of a goat-horned god. If the liquid in the bottle is actually is the secret essence of the universe, as some folks seem to think, it had better be discovered soon becaused it is leaking and there is only a drop or two left." Robbins can be sort of vulgar, so he's not for everyone, and most of his novels have some pretty out there parts, but all in all I love him. 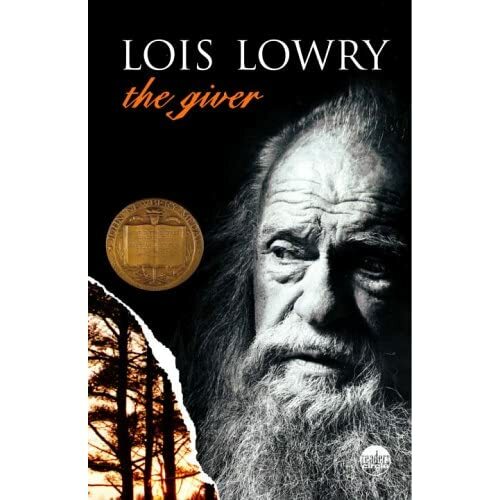 I read The Giver in 8th grade, and I don't remember liking it very much. In all honesty I don't think I even finished it. At our last job, I needed to have small books that I could slip into my apron pocket, so out of necessity I grabbed this book from the shelf, without much expectation. I was really pleasantly surprised. Anyone who knows me well knows that I can cry at commercials, but this book had me seriously tearing up. It's a beautiful story that I think children and adults can learn from. Jonas is a 12 year old boy who lives in a utopian society, and who is given the role of Receiver of Memories. As he undergoes his training, he learns what has been the cost of living in a perfect world. He struggles with the sacrifices his elders have made, and struggles with his new place in the world. The Little Prince is another charming and beautiful story geared towards children, but that adults can cherish just as much. It's about a small prince who tells of his travels in the universe to a nameless narrator. 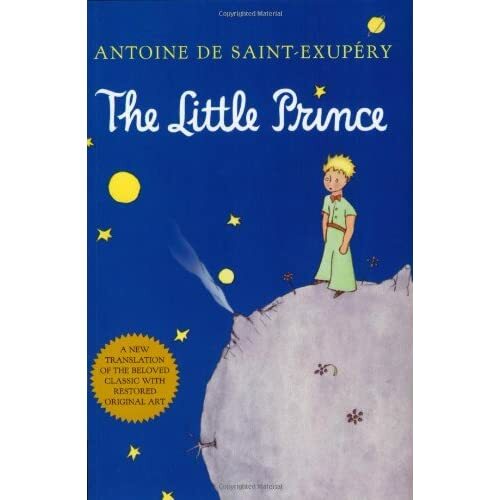 The prince is just a small boy, but he teaches the narrator so much about life. There are some really beautiful passages in this book. Definitely cried at this one too! 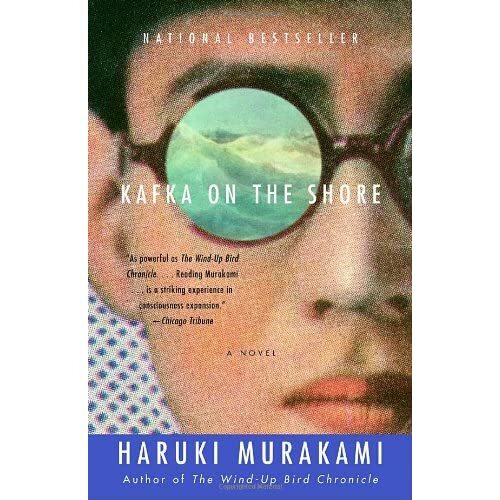 Chris's sister Lindsey recommended Murakami to us, and lent us Kafka to get us started. We've since read a few others of his, but Kafka stands out in my mind. It starts out a little slow, but picks up and turns into one of the most character driven and beautifully frustrating books I've ever read. It's about a young boy who leaves his life of solitude in the hopes of finding himself. Murakami definitely has an other-worldly way of writing, all of a sudden things are out of control weird and totally unexplained, but it all works. Kafka does end up getting pretty well wrapped up in the end, which satisfied my frustration somewhat, unlike other novels of his like The Wind-Up Bird Chronicle. Chris got really into Bukowski on his own, and I really didn't think I would like him at all. I started out reading Hot Water Music which is a collection of short stories, and I really could not get into it. Bukowski seemed like a man's writer to me, I just couldn't get into the style of humor. But, out of necessity at work, I picked this one up and totally got it. 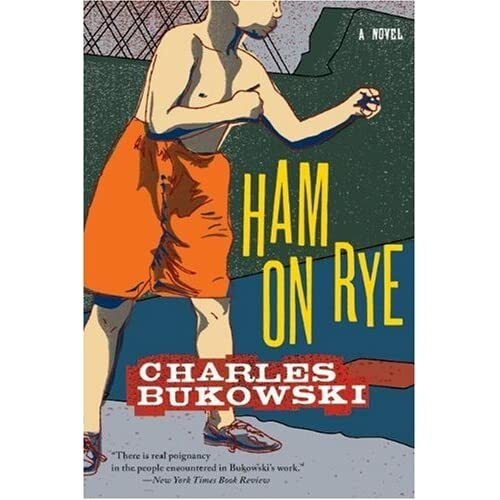 It's a story about growing up told by Bukowski's alter-ego Henry Chinaski. He is a little vulgar, but I really ended up loving this book, as well as Post Office and Factotum. I've read quite a few other books this year that really stood out, but I'm literally falling asleep at the computer right now! I would like to mention Cormac McCarthy, he wrote The Road which was recently turned into a movie starring Viggo Mortinsen. I really love McCarthy, Chris and I both read The Road and Blood Meridian, and I loved each. These books aren't for everyone, though, they're pretty gnarly. Disturbingly violent, in parts. You guys are gonna think I'm a weirdo now, haha! I just really appreciated McCarthy's style of writing, it's very informal but incredibly descriptive. Ok, so now that my super long book-love post is over, what are some of your favorite reads?! I'd love to know, maybe I'll check them out!!! Vonnegut IS GREAT! I'm reading the Breakfast of Champions by him at the moment!